The iconic Kiwi sheepskin house boot combining the exceptional comfort of genuine sheepskin slippers with the added height of an ankle boot for that extra bit of warmth and cosiness. These boots generally run about true to size. 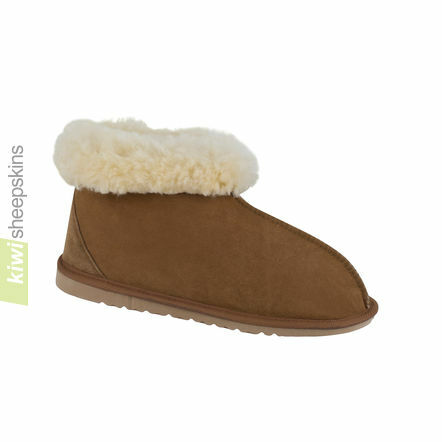 Comments from customers who have purchased our Kiwi sheepskin boots. Hi there - received slippers last weekend. 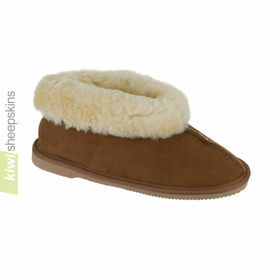 Bang on service - great slippers, great value, quality, fast service as promised. Will use your company again and recommend. Many thanks. I have left it just over a month to respond to the delivery of my boots, and now I can say that the footwear you supplied is first rate, so light and comfortable that I have very rarely removed them since purchase. I will definately be buying another batch as soon as these have worn out, which does not look to be too soon. Many many thanks. Always astounded by the speed I receive my orders, particularly since I'm ordering from the USA. 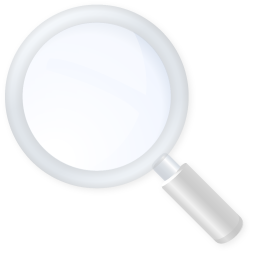 Quality highly superior to comparable products available in US (made in China). Even with overseas shipping, price is better than any I can find here. 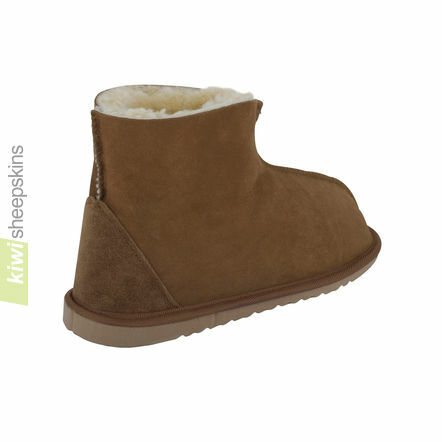 Kiwi Sheepskin has a customer for life with our family. Many many thanks. Parcel arrived in UK today (6th Dec). Our 2 grandchildren (just 11 years old) were thrilled with their surprise gifts. Stated feet now "toasty warm". Usual great service from Kiwi and goods always a pleasure to receive. Again many thanks. 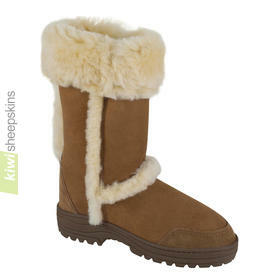 Hi there, just want to send my thanks for the ugg-boots that I purchased. My grandson has size 13 feet and I was not able to buy any boots for him. 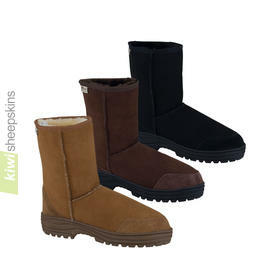 When I tried your website sure enough I was able to buy the most lovely ugg-boots in size 13. Thank you so much, you have made one 13 year old boy very happy. Delivery was fast, product fantastic, I will be back. Just to let you know that I received my order yesterday. The boots are wonderful! I'll recommend you to all my friends!!! Thank you very much! 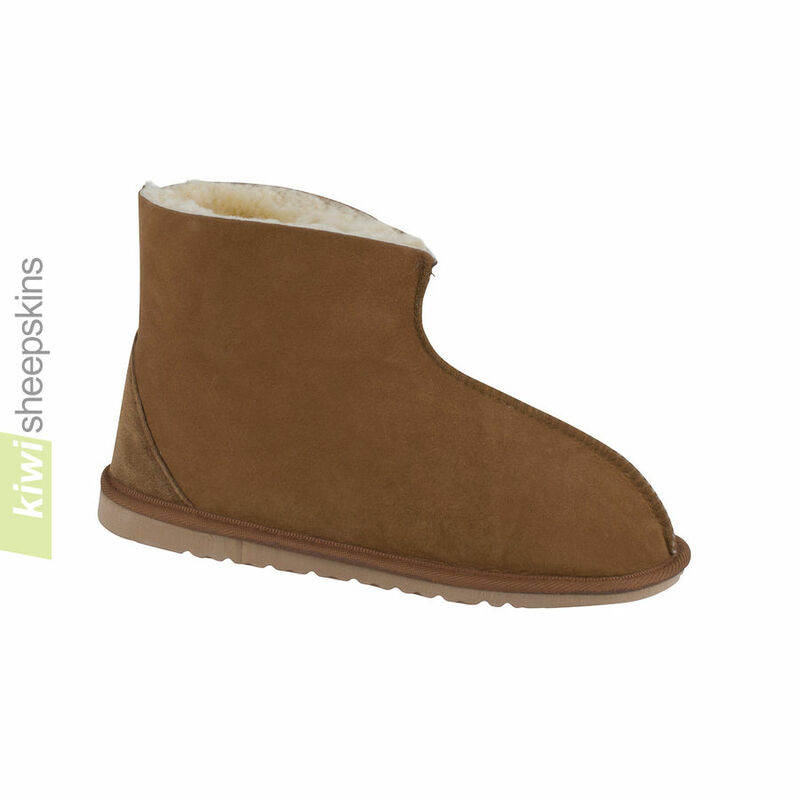 An excellent company who provide almost instant gratification (the boots arrived from New Zealand to rural UK in exactly 9 days) the quality is exceptional and the price, certainly the best I have found anywhere. Highly recommended. Absolutely delighted with purchase. Will recommend to family and friends. Fast professional international service. A BIG thanks, my slippers arrived today and they are fantastic. Toasty warm feet again. I was in NZ at Christmas and didn't see any slippers as good as these for the money. You even strengthen the backs where my ones always go. I will definitely recommend you and use you again, though it may be a while the way these slippers are made! Brilliant, prompt dispatchment and service. Very high quality products at really unbeatable prices including postage. Highly recommend to everyone - it's a purchase you won't regret!